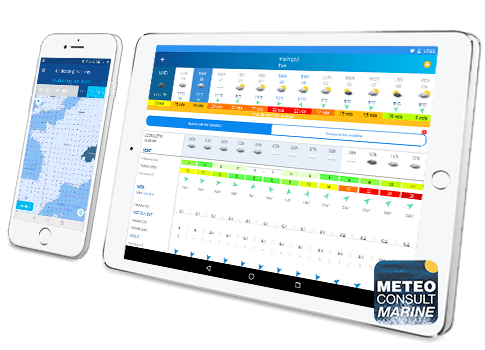 As the leading independent forecasting supplier and specialist in marine weather, METEO CONSULT provides a free app with forecasts produced and verified by experienced meteorologists. Find thousands of spots for watersports and boating sites. Whether you are an amateur yachtsman, skipper, surfer, kite surfer, diver or a fisherman, you will find all the forecasts you need in this app! A very complete map that displays the wind speeds recorded by the buoys and maritime observation posts as well as the observations of the seafarers currently at sea.